As a homeowner you would never want your home to smell of foul odor emanating from the sewers. Such a problem usually occurs when the septic tank is not thoroughly clean. In case you are experiencing any such odor inside and outside your home, you can call us for emergency septic pumping & cleaning services. 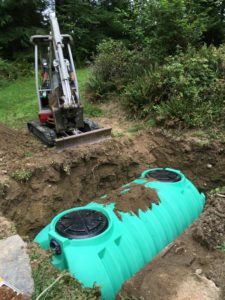 Being an established company we know everything about septic systems and about their care and maintenance. Therefore, when you call us for emergency septic repair, you only need to tell us about the problem and our technicians will handle the rest. When you choose us for emergency septic pumping & cleaning, you can rest assured that you will be provided the best services. If cost is a concern, you can compare our emergency septic repair rates with those charged by other contractors to ensure that you are getting the best deal. With us as the company for emergency septic pumping & cleaning, you can expect world class services and affordable pricing. Feel free to contact Vac Tec, LLC at (206) 339-0039 for any emergency septic repair services in Edmonds.